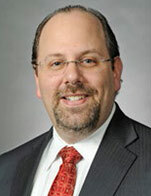 Edward A. Rosenberg is the Head of ETF Capital Markets and Analytics for FlexShares Exchange Traded Funds, responsible for building relationships with market makers, authorized participants and exchanges. Prior to joining FlexShares, Edward spent two years at Russell Investments as Head of ETF Capital Markets and Analytics. Edward was responsible for building relationships with market makers and exchanges, and working on the development of new ETFs. Prior to Russell, Edward worked for 15 years at Vanguard in various roles, including spending the last five years as an ETF product manager. He had responsibility for development and launch of Vanguard's U.S. listed ETFs, as well as building relationships with index providers, market makers and exchanges. He also held various positions in Vanguard's brokerage services and corporate finance areas. Edward is a graduate of Muhlenberg College, where he earned a B.A. in Business Administration. He obtained his MBA from Pennsylvania State University.